Web Marketing: a Proper Marketing effort creates the ROI! Whether you have a new web site and are ready to increase sales or you have a web site you are already happy with, a proper marketing effort will create the ROI you are seeking. 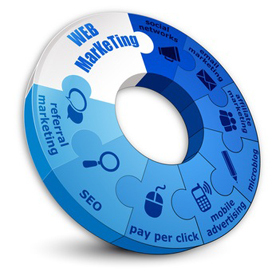 There are many types of Web Marketing efforts. Contact us today for a no obligation discussion on what smart web marketing can do for your company. We can help you get there! Complete the form to the right and let’s get started!